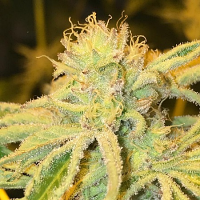 Zamaldelica Regular Cannabis Seeds by Ace Seeds: Zamal is an exotic African sativa from La Reunion Island, close to Madagascar, famous for its extreme vigor and legendary psychedelic effect. 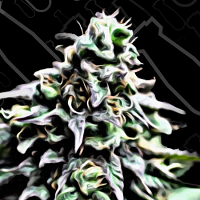 Extremely bushy sativa, sweet carrot, mango, orange, flowers and resins, astronomically powerful, refined effect of premium quality, clear, euphoric, stimulating and soaring, utterly psychedelic in certain cases. We recommend low-average fertilizer levels for the whole cycle, especially Nitrogen.